Quick diaper changing unit | Unicorn-Inc. 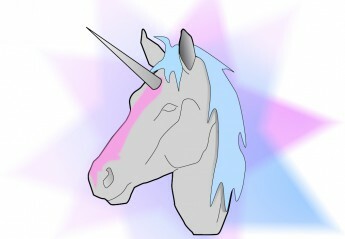 This is my little bloggie about life, unicorns and everything quilting. Yes, I have a sewing machine. No, I can’t repare your (insert clothing of choice). Do any of you relate to this? Alas, this husband of mine who loves me dearly and gives me sewing time every day pointed out that maybe in our own household one or two repair jobs might not be too much to ask. Da..it, he’s right. … bought batting and constructed a new one. Like from scratch. I know, there are only 7 seams in it. But boy am I proud. Why? Because I wrestled laminated fabric though my Scarlett*. And I made this without a pattern although my brain went bsssss halfway due to lack of sleep. And I glued the seamallowances down instead of a secureseam. Nevermind. It will do its job. My daughter loves the deer. And for the next baby in this family I will sew a new one. Now I know how this goes. So keep on changing those diapers**. *I am not the only one who gave her sewing machine a name, right. Right? **Until potty training that is.